Madrid: Barcelona closed to within three points of Real Madrid at the top in La Liga's last outing for 2016 before a three-week winter break, whilst there were also wins for Sevilla, Villarreal and Atletico Madrid. 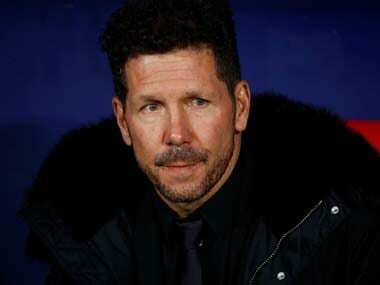 Here, AFP Sports looks at five things we learned from week 16 in La Liga. 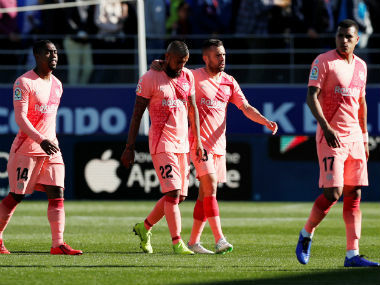 Three weeks ago Barca boss Luis Enrique described his side's shambolic display in a 1-1 draw at Real Sociedad as the worst of his reign, whilst Gerard Pique went further in calling it a "disaster". 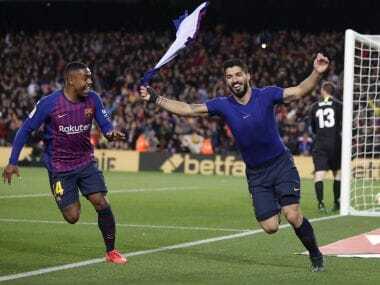 Since then the Catalans have been seconds away from ending Real Madrid's eight-month unbeaten run and swept aside Osasuna, Borussia Moenchengladbach and now Espanyol in a style more accustomed to the Barca of the past decade. 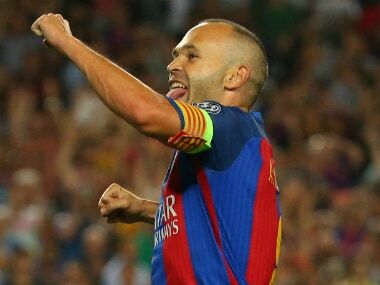 The key to that upturn has been the return of captain Andres Iniesta as he and Lionel Messi put on a stunning display of individual skill in arguably Barca's best performance of the season in a 4-1 demolition of Espanyol in the Catalan derby. Sevilla capped a dream 2016 with a stunning stream of four team goals in 10 minutes that swept aside Malaga 4-1. This Sevilla side even do red cards with haste as Adil Rami saw two yellows in a matter of seconds to leave his side a man light for the final half hour. That aside Sevilla enjoyed a fine end to the perfect year as they won the Europa League for a third straight season. And despite a change of coach and habitual loss of some of their best players, they have reached new heights in reaching last 16 of the Champions League for the first time in seven years and establishing themselves ahead of Atletico as the third force in Spain so far this season. The lights quite literally went out for Osasuna in a 20-minute floodlight failure at La Riazor and it was a fitting reflection of their chances of remaining in the top flight after a fourth consecutive defeat since Joaquin Caparros took charge. A 2-0 defeat to Deportivo la Coruna leaves Osasuna still rooted to the bottom with just seven points and one win all season. Moreover, Deportivo's win opens up a four-point gap between the bottom four and the rest with the once mighty Valencia slugging it out with Sporting Gijon and Granada to avoid the drop. Alexandre Pato has endured a torrid 12 months since returning to Europe firstly with Chelsea and this season with Villarreal. Yet, for the first time since arriving in Spain, Pato showed signs of the player he once was at AC Milan with a brilliant individual display capped off by just his third league goal of 2016 in a resounding 3-1 win at Sporting Gijon. Atletico Madrid eased talk of a crisis with a first win in four games, albeit in unconvincing fashion in seeing off Las Palmas 1-0 with just 30 percent possession. It is no coincidence that Atletico's struggles have come about whilst Antoine Griezmann's goals have dried up. The Frenchman has paradoxically had the best year of his career and a 12 months full of disappointments. He was rewarded with third place in the Ballon d'Or for his role in leading Atletico and France to the Champions League and Euro 2016 finals, but ultimately fell short in both. Having ended 2016 on another low, Griezmann will need to be back to his best in the new year if Atletico are to avoid the embarrassment of inaugurating their new 67,000 capacity stadium next season without Champions League football.